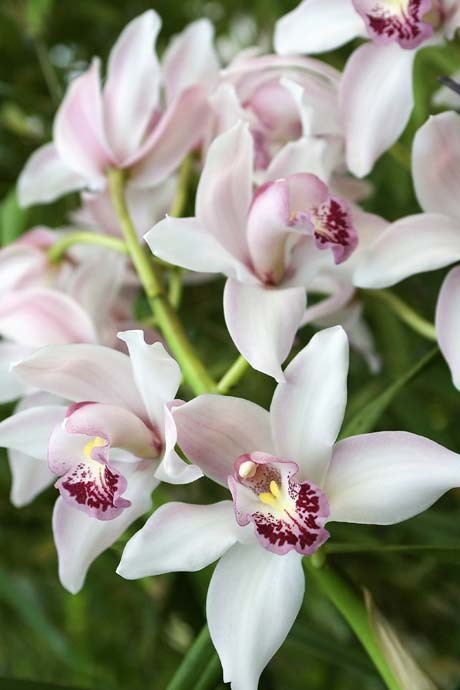 Are your cymbidium orchids in flower yet? 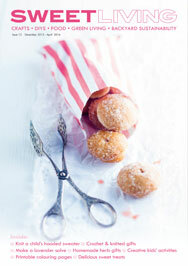 Mine are nearly so – just a few more days before they open. They are late this year, though I did move them into a different spot than previous years. I’ve been working on a weddings magazine these past few weeks, with incredibly gorgeous blooms everywhere. 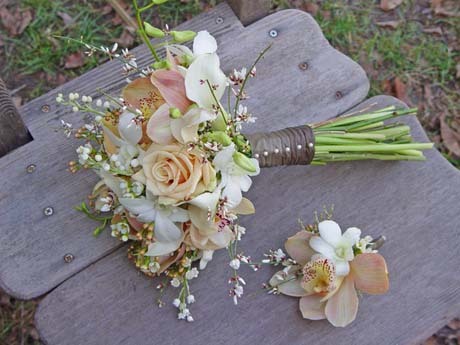 Here’s one of the bouquets and buttonholes, both of which feature cymbidiums. 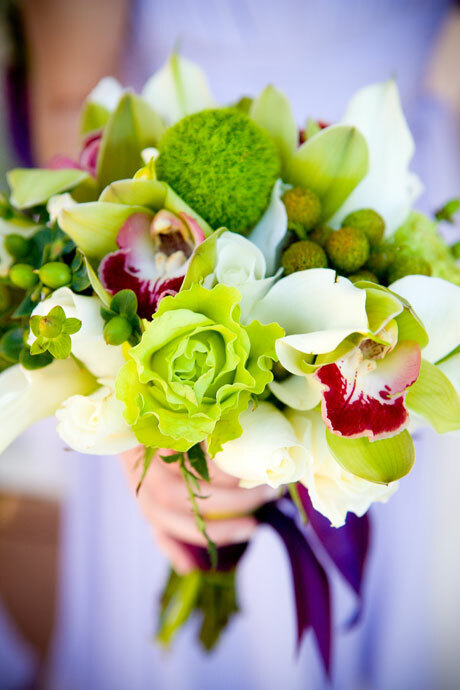 Cymbidiums are so long lasting they are ideal for bouquets or the vase. 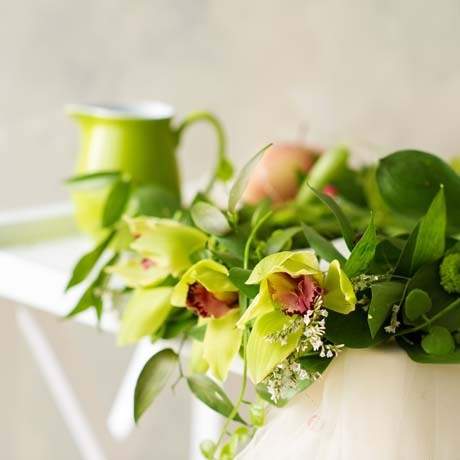 Though you can also bring your potted plant indoors once it’s in bloom and use it as a table centrepiece. Once it’s finished flowering, shove it back outdoors. I picked my first cymbidiums this week. I used to think these plants old-fashioned but nowadays there are some gorgeous hybrids to choose from. 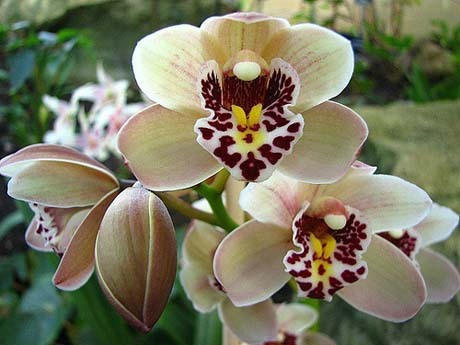 Cymbidium orchids are the beginner gardener’s best friend. They are one of the easiest orchids to grow. They need little care – just a repot once every three or four years when they’re climbing out their pots (do it in spring once new growth has begun and the flower stems have been removed) and protection from slugs and snails. These slithery critters love to munch on the fresh buds and blooms. Your potted plants should also be brought under cover when in flower, as heavy rain and hail will pockmark the blooms. I feed mine occasionally with an orchid fertiliser, then in midsummer give them an application of Epsom salts, a teaspoon per 5 litres of water, to facilitate spike initiation for the following season. That’s really all the attention my cymbidiums get. And look what they give me in return!